Do you have a baby-themed project for a girl in mind? If you do, then this digital collage sheet might just add the perfect touch to your beautiful creation. 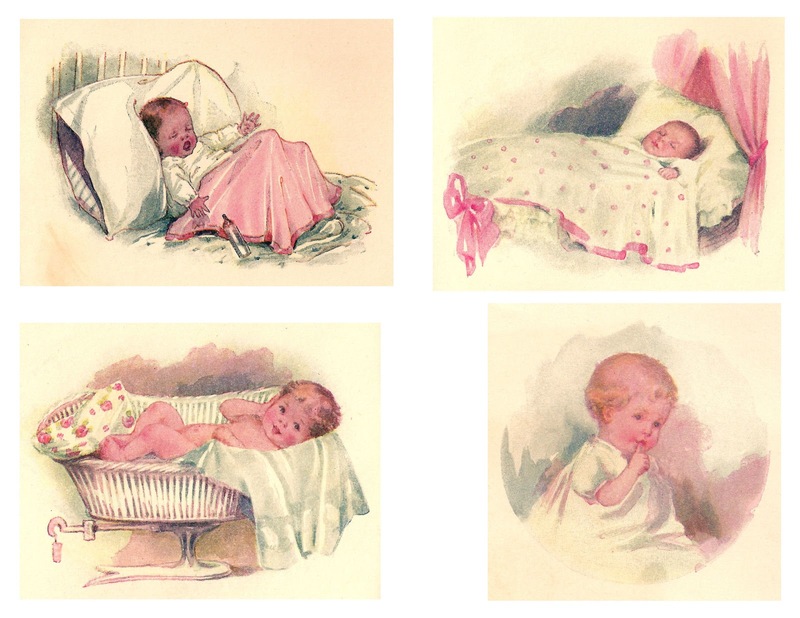 These cute pieces of baby clip art are from a 1918 baby book. With the dominant color being pink in the illustrations, I think it'd work best for a baby girl; however, back in 1918, pink was the color for boys. I hope you enjoy!